There are lots of unforgettable things to do in Cairo with kids. The highlight will of course be the pyramids and the sphinx but there are loads of other Cairo attractions to enjoy. Cairo is a huge chaotic city with several options for family friendly Cairo accommodation. Choose from budget hotels to luxury accommodations including some hotels with views of the pyramids. The weather in Cairo can be quite hot, especially in the summer months, so don't forget to pack hats, sunscreen and bring lots of bottled water with you on your Cairo activities. 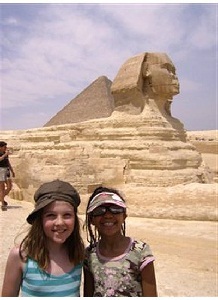 A visit to the pyramids and the sphinx is of course at the top of the list of things to do in Cairo with kids. The great pyramid of Khufu is the last remaining wonder of the ancient world. Don't miss out on exploring the inside of this pyramid with the kids. My family loved doing this-although it is a cramped walk with a lot of ducking down and not really much to see inside. However, there is still something really cool about being inside the pyramid! 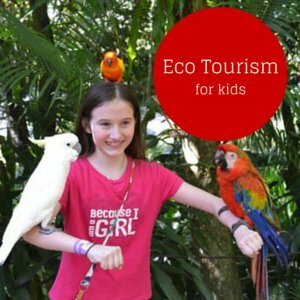 Make sure you hire a guide so you and your kids can learn the history of these amazing structures. 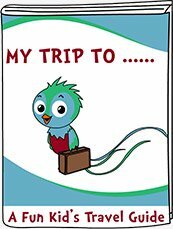 If you are traveling with toddlers or babies keep in mind the grounds are not suitable for strollers so you will need a baby backpack. A visit to the Solar Boat Museum located on the grounds of the pyramids will surely enthrall your kids. This 4500-year-old boat was built with no nails! It is believed to have been built for the pharaoh to use in his afterlife. One of the most fascinating family friendly things to do in Cairo. If you are on any kind of tour or with a driver you will no doubt be brought to a "papyrus factory" aka store where you will be presented with lots of overpriced papyrus artwork. The good news is there is usually a demonstration on how the papyrus is made and the kids can join in and learn how this ancient paper is made. Head to Khan Al Khalili market for some souvenir shopping. 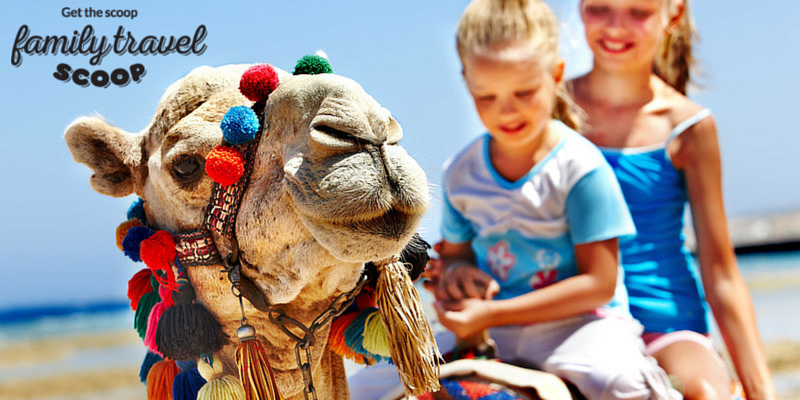 The kids will have fun bargaining for treasures such as stuffed camels, belly dancing outfits and colorful bookmarks. The kids can have their names translated into Egyptian hieroglyphics and printed on just about anything! This bustling market is a maze of alleyways filled with charismatic vendors offering everything under the sun. Not for the faint of heart. Don't miss out on sampling the delicious Egyptian food with your kids. They will love the koshari, tamiyya and omm ali for dessert! Take the kids on a camel ride. A trip to Egypt with the kids just isn't complete without a ride on a camel. Outside of the pyramids there are lots of vendors with decorated camels vying for your business. 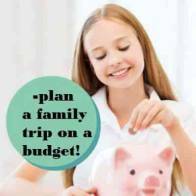 Negotiate a ride for the whole family -your kids will love it (though your backside may not). This was one of our favorite things to do in Cairo. The Citadel is a huge fortress overlooking Cairo. The kids will enjoy checking out the royal rooms in the palace and the police museum. The day that we visited there were many lovely school kids on field trips and they were very friendly and wanted to practice their English. My kids had lots of fun playing with their new friends. 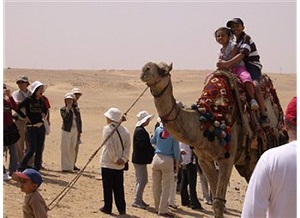 Horseback riding in the desert is another one of the fun things to do in Cairo with kids. You can even ride these beautiful Arabian horses around the pyramids of Giza. Great fun for the family and one of the most memorable things to do in Cairo. In the evenings you can see the pyramids sound and light show. This show is narrated by the Sphinx and tells a little bit about the history. The views of the pyramids are spectacular when all lit up at night. Dress warm as it can be quite chilly in the evenings. This is one of the best things to do in Cairo with children in the evenings. The Egyptian Antiquities Museum is one of the top things to do in Cairo with kids. Hire a guide (you can hire them at the entrance) for a couple of hours to help you explore. My kids loved learning about King Tut and seeing his toys on display. They also liked seeing the animal mummies. This museum is packed with fascinating artifacts. Al Azhar Park is a great way to escape the hustle and bustle of Cairo for a few hours with the kids. This beautiful park has great views of the city, fountains, a lake, restaurants and a playground for the kids to enjoy. Great place for the kids to meet some new friends. Take a felucca boat ride on the Nile river. Your kids will enjoy the views of modern Cairo along the riverside. If you are heading to Luxor as well then skip the ride in Cairo-the views are much nicer of the countryside in Luxor. Sindbad is one of the fun Cairo attractions. This amusement park is located in New Cairo (Heliopolis) and features lots of fun rides and games for the kids. Dream park is the best amusement park in Cairo. It is located in the 6th of October city area and features 48 different rides for kids of all ages. 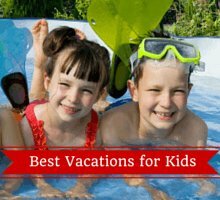 A fun break for the kids when they have had enough of the sightseeing. 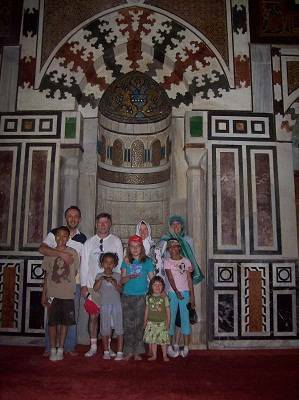 Head to Islamic Cairo for a stroll with the kids. Your kids will be amazed at the incredible architecture and will be able to have a glimpse at the "real" Cairo. There are lots of interesting alleys to explore and several mosques. The tent-makers market is very interesting with lots of colorful fabrics to see. If your children have never visited a mosque before then a visit to one will be quite interesting. Most of the major mosques will be happy to provide you with a tour during non-prayer times. Women will be provided with appropriate head coverings if necessary. We went to the mosque beside Khan Al Khalili and had an excellent tour with a friendly guide who was happy to answer our questions about Islam. The mosque is very beautiful. Nile dinner cruises are another fun option with kids although they do run rather late so maybe better suited for teenagers or older kids when visiting Cairo. The upscale Nile Maxim is a beautifully decorated boat with entertainment including belly dancing, Tanoora (spinning dance) show and a live band. The meals are a la carte and mainly Egyptian food although some Western dishes are available. The Nile Crystal is another good option with an open buffet and lots of entertainment included. City stars is a typical mall located in Cairo. There is a small kids amusement area called Magic Galaxy for the kids to play in. This is great for toddlers and small children in Cairo. Another one of the fun Cairo things to do is to visit the Pharaonic Village. It is an Egyptian theme park with a kids play area, boat rides on the Nile, arts demonstrations and cultural shows. There is also an area where the whole family can dress up in Pharaonic clothes for a portrait. 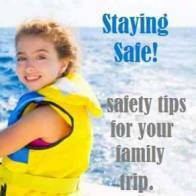 Make the most of your family trip to Egypt! Get the kids an Egypt Fly It Quiet Activity Pack. They will have fun learning all about Egypt.